Born in Bragança Paulista, Brazilian pianist Ricardo Pozenatto began his musical studies at the age of fifteen with Helenice Villar Rosa. In São Paulo, he studied piano with Professor Rogerio Zaghi as well as with Professor Marisa Rosana Lacorte, graduating in 2009 with his Bachelor’s Degree in Music at Alcântara Machado University. During his studies, Mr.Pozenatto was very active in the musical scenario of Brazil, participating in important piano competitions. In 2008, he won the first prize at the XVII Souza Lima National Piano Competition in Brazil, and in 2010 received an honorable mention for the 16th “Arnaldo Estrella” National Piano Competition. Ricardo is also a passionate teacher and has actively contributed to project “Guri Santa Marcelina,” a Brazilian music education program specifically geared toward assisting children and teenagers. His expertise in music education also extends to adults. As a collaborative pianist, Mr.Pozenatto was the official accompanist for singers in a Jewish choir organization in Brazil. 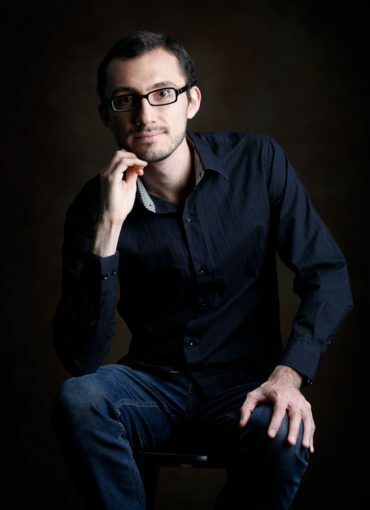 After deciding to enrich his musical studies abroad, Mr.Pozenatto was accepted with a full scholarship at the Lynn University Conservatory of Music (Boca Raton, FL), and in 2015, under the tutelage of Professor Lisa Leonard, he graduated in the Instrumental Collaborative Piano Master of Music degree. Two years later, he completed his second Master of Music degree in Piano Performance with a full graduate assistantship at Florida Atlantic University (FAU) from the studio of Dr. Irena Kofman. In 2017, as one of the winners of the FAU Aria & Concerto competition, he performed Grieg’s Piano Concerto with the FAU Symphony Orchestra. As an active music teacher, Mr.Pozenatto joined the FAU’s Teaching Outstanding Performers (TOPS) piano camp this past summer and is currently beginning his PhD in Piano Pedagogy program at Florida State University. Playing the piano is much more than simply pressing the right keys at the right time. Music is art and through art one is capable of sharing and expressing feelings and emotions. In my studio, students learn how to express themselves in music, making beautiful tones while coloring the world around them. It is my goal to develop in each of my students a comprehensive understanding of music, which is achieved by highquality piano lessons that also embrace music theory, sight reading, technique exercises, and a large variety of repertoire styles. I am a believer in the benefits of music study for all individuals, regardless of their age or ability. Sign up for one of my classes today! Visit our Church & Academy websites here!